Not only covering the issues and events in San Juan Capistrano, this local paper also gives the community a voice on the current issues that concern them all. Are you looking for the perfect place for your child to create lasting memories this summer? Are you seeking a venue in which your child can become more confident while growing their repertoire of skills at the same time? Look no further. Campers are guided through a full theater-immersion experience via four daily classes (music, art, acting, and dance), and at the end of the week, the culminating event will be a performance for parents, family, and friends. Every student will perform in their very own production based on a popular Broadway musical or musical theme at Camino Real Playhouse! A child can participate for one week, the entire summer, or anywhere in between! It's time to watch your star shine! 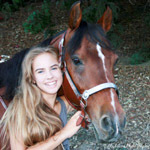 The Carol Fallon Riding Center provides a safe, professional, fun environment for youth and adults to learn lifetime equestrian skills and to become skilled riders. In the lesson program, students are taught balance, coordination and the value of persistent effort. Students are also taught a general knowledge of the horse, grooming and basic horse care. Give your child the gift of a fun filled adventure of horseback riding, new friends and cherished memories! Our camp sessions are comprised of a limited number of campers allowing your child to know they are special, be comfortable and well supervised. Activities include: riding lessons, learning the proper care of horses and equipment,	horsey arts & crafts plus	fun games! I have thirty years of experience training riders to reach their goals and my teachers and counselors are super friendly and well qualified. Able To Change Recovery is an Orange County alcohol rehab and drug treatment center specializing in substance abuse, alcoholism, dual-diagnosis and addiction recovery. 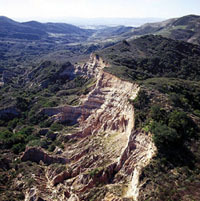 With locations in Lake Forest, Capo-Beach and San Juan Capistrano, this modern medical-model treatment center is licensed and certified, CARF Accredited, and is dedicated to providing the highest quality and most cost-effective chemical dependency treatment to those suffering from drug addiction, alcoholism, and related mental illnesses. If you have always dreamed of learning to ride horses then start now and make that dream a reality. Horseback riding is a wonderful sport that is healthy for your body and soothing to your soul. The horse is a magnificent animal who teaches us responsibility, courage, tolerance and acceptance. We welcome all riders over the age of six to participate in our program. Our primary style is Hunt Seat and we also teach Western Pleasure. For the student who wants to win All Around Awards, we can teach you both. Learning how to communicate with horses in a way they understand and learning how the horse mentally and physically responds to you is of utmost importance. 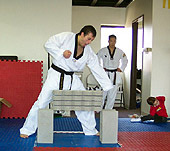 Tae Kwon Do Jang is one of the most outstanding and fastest growing Tae Kwon Do schools in Orange County. Located in the heart of San Juan Capistrano, the school is owned and operated by international medallist, Master Sergio Cardenas. Master Cardenas offers to his students more than 17 years experience in the martial arts. They offer a full range of classes for beginners to black belts also providing instruction for individuals as well as families, ages 3 and up. Located at 34390 Ortega Hwy Lake Elsinore, CA 92530, 1/2 mile north of the Candy Store, 25 minutes from the 5 Fwy. Affordable Catering Orange County's goal is to make sure their clients will experience outstanding food and extraordinary catering services. Specializing in authentic Italian, Mediterranean and Persian food, they are expert at finding their customers' budget and catering style. Because they're a full-service caterer that's been in business for more than 15 years, the staff at Catering Services OC are expert at meeting all industry standards. Their experienced event coordinators can also help you select menus, coordinate colors, design layouts, and plan your perfect event! More than 30 vegetable, fruit and flower vendors will be selling farm-fresh goods. The Market also includes fresh breads, olives, eggs and Hummus with pita chips, all right in the heart of San Juan Capistrano historic downtown! lso offering facials, skin care and massages. Dogs boarded at Bed n Bones enjoy a property filled with giant eucalyptus trees where they can watch wildlife, dig holes, with plenty of room to run & play. Since dogs are pack animals and like being able to see their friends, each dog sleeps in their own 4x4x5' area where they are placed near a dog they got along with that day. During the day, dogs are kept in 5 play yards where they are divided by size, play styles and energy level. Dedicated to providing the highest quality veterinary care to meet your pet's needs. Their boarding services include luxurious accommodations with a 24-hour attendant on duty. Their 'pet hotel' features individually decorated Dog Suites and Cat Suites with TVs in each suite area. While there's no place like home, they're as close as you can get! Inviting you to join them in fellowship and worship. Established in 1776, this beautiful and historic Catholic Church and Mission was invited to become a Basilica in 2001. Ocean Hills Community Church (OHCC) was founded in 1979 by Pastor Homer Waisner, Jr. The congregation grew quickly and soon Sunday services were being conducted at Marco Forster Junior High School. This friendly, active, growing church in South Orange County offers many ministries to meet the spiritual and social needs of people of any age and of all walks of life. Opening their first restaurant in the middle 1980's, Ricardo's Place maintains a tradition of thoughtfully prepared recipes passed down through generations of family members. Offering the best, healthiest and most affordable Mexican food around. 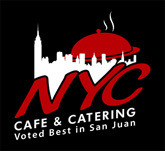 Catering, food to go and banquet facilities also available. South Orange County hotel and conference center conveniently located off the 5 freeway. Only three blocks from historic downtown San Juan Capistrano, this Inn offers comfortable accommodations and a new State-of-the-art Conference Center. Shuttle service is also available.